As the temperature slowly increases and the sun allows us to dream of daytrip adventures, it is evermore important to take care of our body at this time of year. Getting away from heavy meals and having refreshing dishes is the best advice. Therefore, today we present an original and curious salad: tabulé. Prepared with couscous, this product is triumphing among the influencers and in the more 'trendy' restaurants. 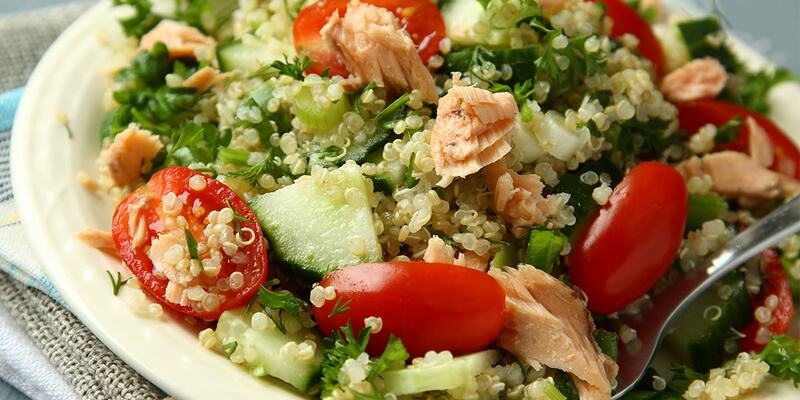 As a general rule, its main ingredient is couscous -smooth of wheat-. The tabulé is no more than the couscous washed, drained and served cold with a varied dressing. Therefore, with this base, the rest of the ingredients are free. In this case, tomatoes, onions, cucumbers, lemons, mint, oil, parsley, etc. are not usually absent. As you can see, refreshing products that help hydrate your body are best just let your imagination fly! Keeping that in mind, you should know that it is important to cut the ingredients into small portions so that it is easier to eat and digest. In addition, it is also advisable to prepare it in time so that it can be in the fridge for a couple of hours. Thus, all the ingredients will stick well and the mixture will be the ideal temperature. Join the fashion of tabule and accompany your meals with this original, tasty and refreshing salad!